Five years ago today, a passionate group of people came together at the Bethesda Theatre to kick-off a new initiative. On January 23, 2008, Bethesda Green was officially born. Thanks to all the board members who helped make Bethesda Green possible. To Seth Goldman and George Leventhal, whose leadership and guidance gave the organization its birth. To Ilaya Hopkins, Jeff Burton and Greg Rooney, whose leadership as board chairs propelled Bethesda Green forward. To the Bethesda Green staff, whose commitment to excellence and efforts are gifts to the community. 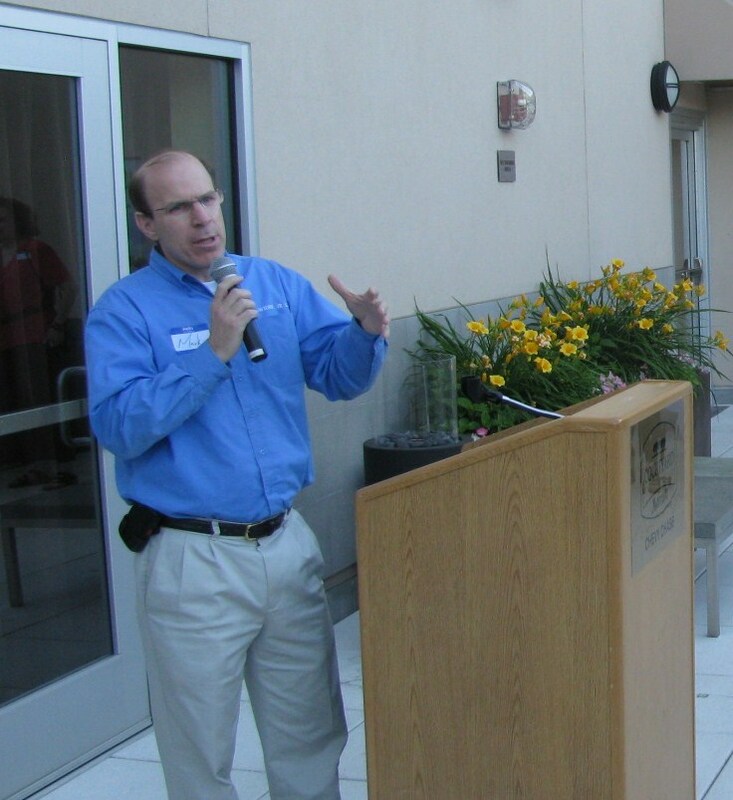 And to Mike Mielke, my initial founding partner, whose purposefulness and enthusiasm for sustainability inspired me to build green, livable communities. Our goals, when we launched were to focus, organize and accelerate the local sustainability movement. In 2012, we instituted a three-year strategy around themes of incubate, initiate, and educate. This year, we will begin the process of redefining our strategy post 2013. We have made a huge difference to this community and the many people who have been part of Bethesda Green. It may sound cliché, but our work is just beginning. I hope you stay involved and recognize the impact this organization is having on our community and others following our lead. On a warm Thursday night, the sun sets on the patio at The Courtyard by Marriott Chevy Chase in Friendship Heights. This LEED (Leadership in Energy and Environmental Design) Gold certified hotel was the venue June 2 for Bethesda Green’s “Step Up to Summer” happy hour where much of the environmental community gathered to eat, drink, and socialize in the summer air. Everyone looked excited as they stepped onto the patio and saw the delightful set up. Savory appetizers and a bar serving wine, beer, and cocktails were calling everyone’s name as they settled into the welcoming and fun atmosphere. Each visitor donated $10 and in return they were entered in a raffle contest to win either the Green Guide: The Complete Reference for Consuming Wisely or two-night weekend stay at The Courtyard by Marriott, both prizes compliments of the hotel. 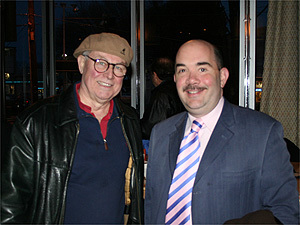 Many organizations and community leaders were present at Bethesda Green’s Happy Hour including: A Wider Circle; Clean Currents; Green Market Solutions; County Councilmember George Leventhal; and Jim Young, senior director, corporate facilities, Marriott International and an integral member of Marriott’s Green Council. Mark Bergel, the Founder and Executive Director of A Wider Circle, presented an uplifting and inspiring speech that encouraged all of us to come together to eradicate poverty in region. A Wider Circle is an incredible organization that provides basic needs such as furniture, home essentials financial planning, and stress management for those in poverty. Picking the raffle winners followed the presentations. From a green bucket a small blue ticket was pulled and numbers were read aloud. Wendy Howard was the first winner! She won the Green Guide. As the next blue ticket was pulled and read aloud everyone was giddy and listening intently, hoping they would win the two-night stay at the hotel. Ironically, Marriott VP Jim Young’s number was pulled. Chuckling, he said, “pick another one.” Again the same silence fell as the numbers were read, this time Mike Kennedy won! Congratulations to both the winners! The hum of conversation continued with many laughs, smiles, and pictures. Friendships bloomed and so did the summer season at the happy hour. One could tell it truly was the happiest of hours. A Bethesda Green intern, Jeanette Perthel graduated from Churchill High School and is attending Towson University this fall. Bethesda Green announced the appointment of a new slate of Board officers to assume leadership at its next meeting January 7, 2011. Community leader and current Board Member Ilaya Hopkins will serve as Chair of the Board of Directors. Other officers elected by the Board at its December 2010 meeting include Vice Chair Jeff Burton, Deputy Executive Director at Bethesda Urban Partnership; Treasurer Joseph Chirico, Senior Vice President with Capital One Bank; and Secretary Rosalie Grazzini. Bethesda Green Co-Founders and former Board Co-Chairs Seth Goldman (President and TeaEO of Honest Tea) and George Leventhal (Montgomery County Councilmember, At Large) championed the growth of the non-profit collaborative of residents, businesses and government since its inception in 2008 and will continue serving as Board Members. “An important test for any young enterprise is whether it can continue to grow and evolve once the founders step aside. I’m confident that Bethesda Green is in good hands,” said Goldman. Installing dozens of recycling bins in downtown Bethesda. Educating thousands of people through seminars and trade shows about renewable energy and simple efficiencies to cut carbon output and save money. Organizing E-cycling days in partnership with Montgomery County, collecting tons of TVs, computers and other old electronic equipment. Convening an internship fair providing hundreds of young people a gateway to future careers. Hosting a Gala to spotlight businesses and individuals as champions of sustainable living. Strengthening ties between the urban and rural communities in the local agricultural food chain. A big crowd showed up for the Bethesda Green First Thursday Happy Hour. 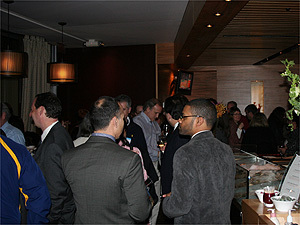 We hosted a wonderful Bethesda Green First Thursday Happy Hour at Black’s Bar & Kitchen last Thursday, February 4. Approximately 75 people came by to mingle and discuss green issues – not to mention the impending snowstorm. The area between the bar and the wall adjacent to the patio was packed with folks. Black’s provided free appetizers and snacks. Dave Heffernan, communications director for Bethesda Green, gave a quick welcome and introduced At-Large County Council Member and Bethesda Green Co-Chair George Leventhal, who spoke briefly and thanked the volunteers for their support. I talked to a solar entrepreneur, some architects and LEED designers, and a few energy efficiency/audit folks — as well as many Bethesda Green regulars. There’s always an exciting vibe at these happy hours, because everyone there is working toward a greener, more sustainable future. Gabriela Zamora won the raffle for the $100 Gift Certificate to use at Black’s Bar & Kitchen or any of the other restaurants in their group. Mark your calendars: The next First Thursday Happy Hour will be at Flanagan’s Harp & Fiddle, March 4 from 5 to 8 p.m. at 4844 Cordell Ave. in Bethesda. 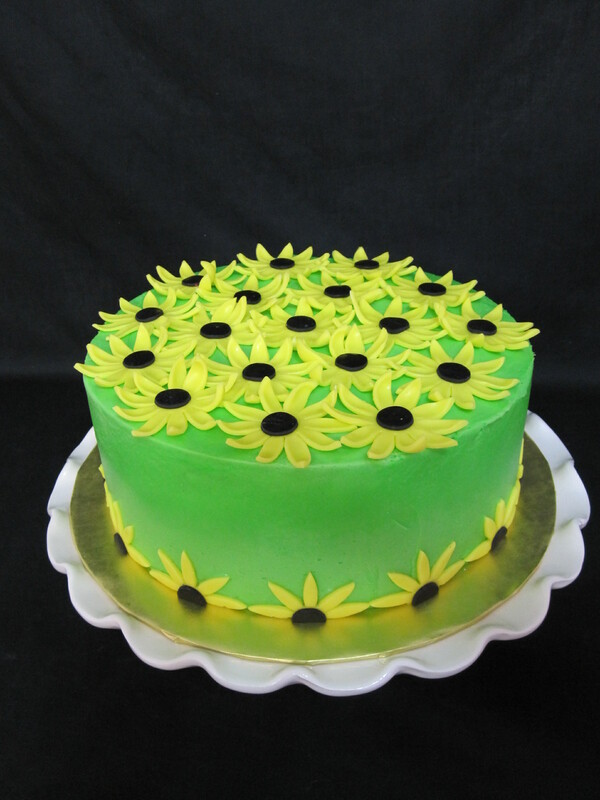 There might be some green beer for the green crowd — join us! 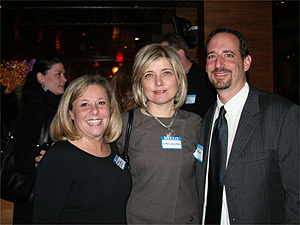 Bethesda Green Executive Director Dave Feldman with interior designer Barbara Silverman (L) and architect Nuray Anahtar (center).